Written by noted naturalist, Dr. James C. Halfpenny. 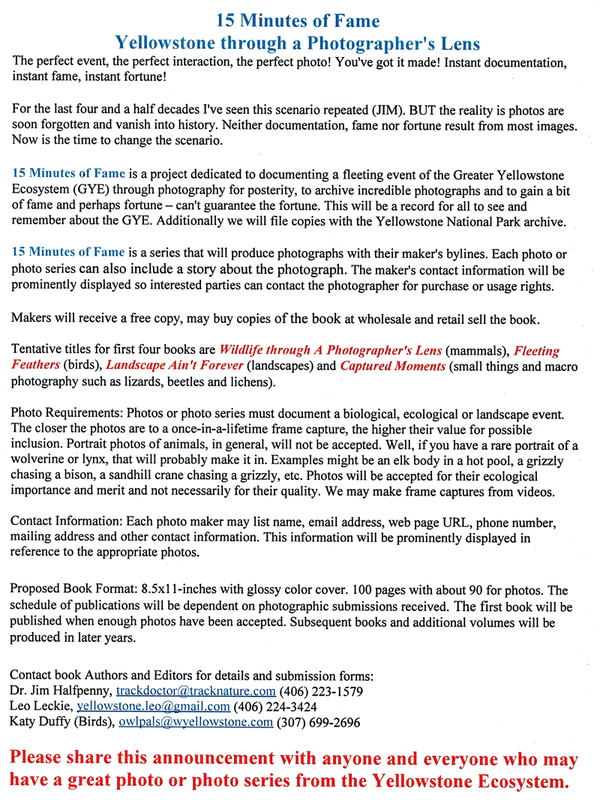 Charting Yellowstone wolves is the pictoral record of the greatest wildlife management experiment of the 20th century, Wolf Restoration to the Greater Yellowstone Ecosystem. Contained here is the complete collection of all annual laminated wolf charts produced since the beginning. Now you can trace the genealogy of your favorite wolves and packs with your own complete permanent record of all 46 charts. Also included are detailed records of the founders and their fates. Supplemental materials include range maps for the Ecosystem through 2011. 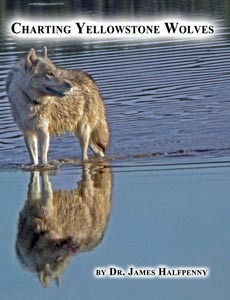 A portion of sales are donated to the Wolf Restoration Project. To have your book(s) personalized, please email us at trackdoctor@tracknature.com. Give us a first name of the person(s) receiving the book and Jim will personalize it.